BeeCut is a professional video editing program which can help you create a wedding video easily. This software has advanced functions which can enhance the videos by adding filters, transitions, elements and so on. Aside from that, it can remove and hide unwanted parts from the video. 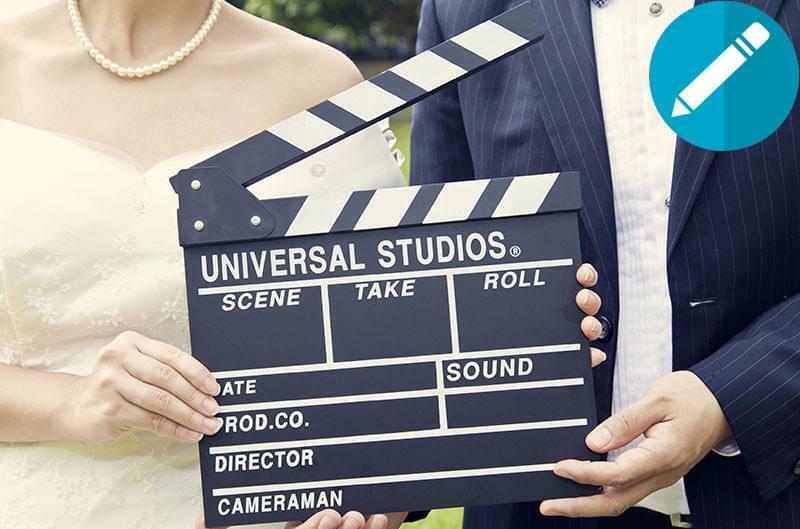 Also, users can add music to their wedding video so that viewers can enjoy watching it. To fully understand on how to use this marriage video editing software, see the full guide below. To start, simply download the program from below and install it on your device. After the installation, launch it then select your desired aspect ratio. 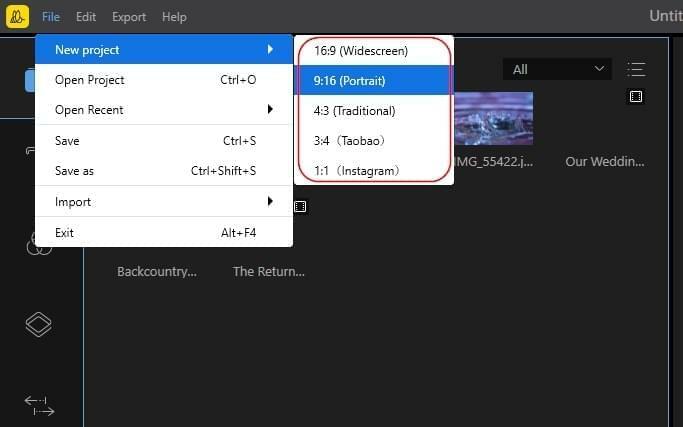 It supports the aspect ratios we often use which include: 16:9, 3:4, 4:3, 1:1 and 9:16. Next, upload files by clicking on "Import" then "Import file", then select image, video and music files from your local drive. Once added, simply drag and drop them to the timeline. Or just click the "+" icon on the files. After that, start editing the video. You can create PIP video, add texts, filters, elements, overlays to video, split, crop, rotate, reverse video, adjust speed, contrast, saturation, etc. of the video. Once done, click "Export" icon, choose the output format, resolution and then save the video on your PC. 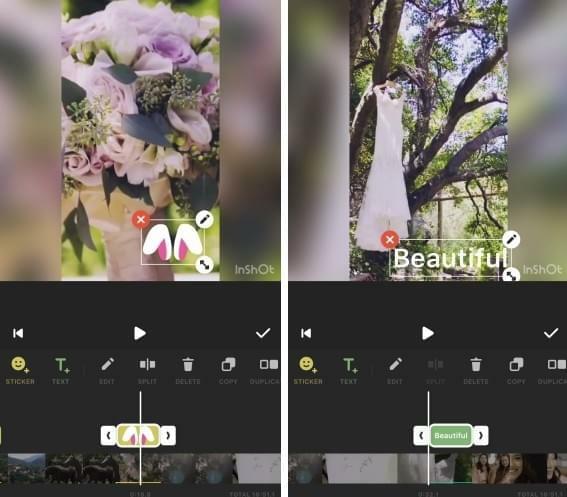 Another tool that can help you solve the problem of how to edit wedding video on Android is called Wedding Video Maker. This is a video editor that offers different video editing features which is perfectly created to design any videos like wedding, birthday, get together, and travel and a lot more. Furthermore, users can use this application anywhere and anytime of the day. The exported videos can be shared on different social media sites. Here are the steps on how to use this app. On your Android device, go to Google Play Store and search the name of the app then install it. Open the app when you finish the installation. Tap "Slideshow" and select the files from your device, then hit "Done". Next, select a wedding theme, duration, music, filter and so on and then edit your video. Once done, tap "Save" button to save it on your device. Last on the list that can edit wedding video is the Inshot. This video maker was created for iOS users such as iPhone, iPad etc. Users can instantly cut, trim, delete and merge videos in just a few clicks. 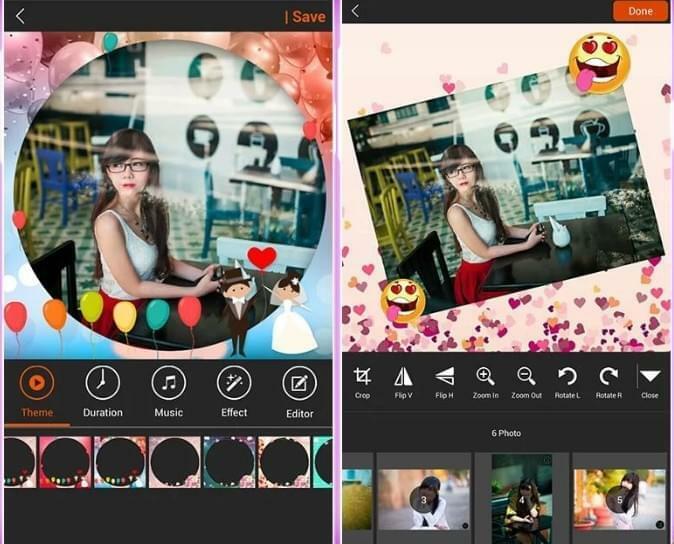 In addition to that, there are a lot of exciting features you should try that include filters, music, sound effects, voice overs, texts and so on. On the other hand, it offers in-app purchase to use all the functions of the program. Now, below are the procedure you can follow on how you can make your own wedding video. Get the application on your iOS device from the App Store. Tap "Video" and then select the wedding video that you want to edit. Design the video according to your need with its editing functions. When you are done, save the video on your device. All the tools presented above are the most commonly used video editors to make wedding video. Users don't need to worry whether they are using computer, Android or iOS devices. Meanwhile, there are also other online wedding video editors that can be found on the internet today. 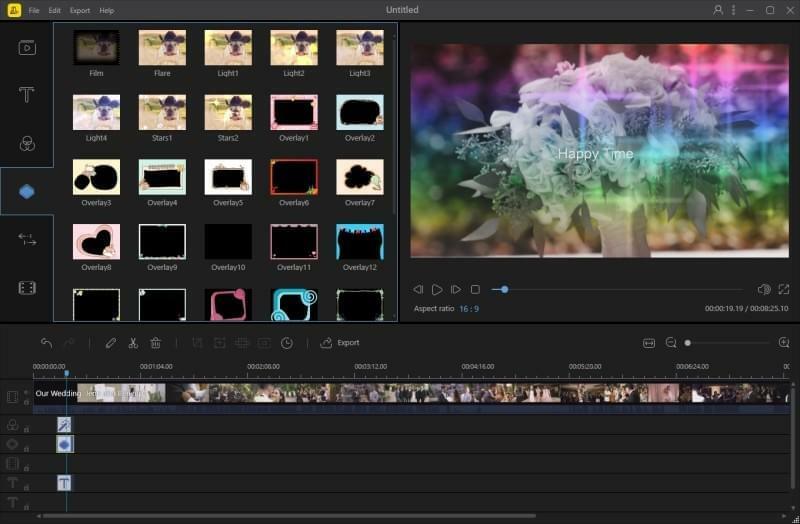 You may use Wedding Video Maker or Inshot to create a cool video, however, if you want an easy-to-use video editor with lots of practical functions, you may go to try BeeCut.